The Digitech-i Waterproof Bag is an ideal accessory for the dynamic people out there who wish to take their favorite Apple devices everywhere they go, including in rainy situations, to the beach or the lake. 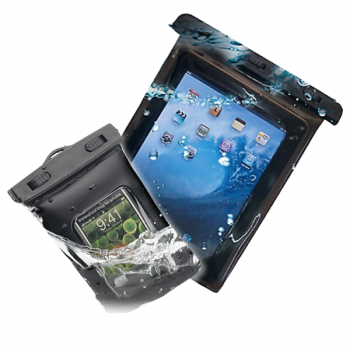 While giving the humidity protection, our waterproof cases also acts as a screen protector and a dustproof container. Hence this can be considered as one of the best all-around cases present in the market. Certified IPX8 waterproof level protection againsts water, dust, dirt, sand and other elements.